You can find us at stand number C043B. Hopefully we can meet you there. You can find us at stand number 1.E136. We proudly present our new website! It’s here! After months of preparations and many many hours of hard work, we are proud to present our new website! Our website has been completely renewed! The new website has a fresh layout and has been made much more user-friendly than our previous website. The website will be expanded with a webshop in the near future, so you will soon be able to order our produtcs online. We hope you will be as satisfied with the new website as we are. You can find us at stand number E102. We are proud to present the IMH Transflow series! The IMH transflow can work both in horizontal, vertical or inclined position, passing through various degree of inclination, using a simple handwheel located on the left of the operator. The longitudinal sealing of the bag is made by three pulling and sealing couples of wheels, while the transversal sealaing is made by the cutting and sealing jaws through a vertical movement.The forming tunnel is adjustable so that the change of size is easy and quick. 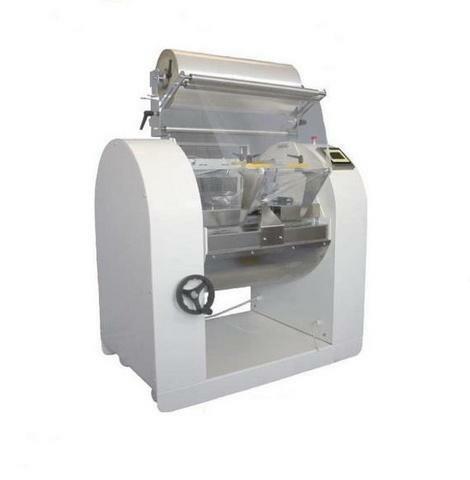 The machine works with different types of flat film such as polypropylene, laminated film, microperforated, polythene etc. The width of the reel of film depends on the model of the machine and on the product. Moreover it is possible to wrap using MAPsystem (modified atmosphere), dosing gas and alcohol inside the bag. The pulling speed is adjustable through a PLC and is connected to the dimensions of the product to wrap and to the type of film. The temperature of the sealing and cutting bars and of the wheels is controlled through the PLC, the touch screen panel. INCLINED POSITION: Products as bread, sweets, trays, single product or multipack, food or non-food products. HORIZONTAL POSITION: Products longer than one meter, such as aluminium and wooden bars. VERTICAL POSITION: For several products like pasta, rice, coffee, etc.